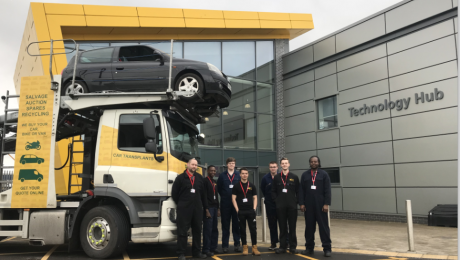 Motor vehicle students at Stoke on Trent College are learning their trade on the latest road cars thanks to the generosity of local automotive company, SYNETIQ. Trainee vehicle technicians at the college are developing their practical skills on a range of current models and static engines donated by SYNETIQ, as part of a new partnership. The company, which has a base in Hurleston, is the leading vehicle recycling company in the northwest and also specialises in repairable vehicles and safe car disposal across the UK. Each year it supplies Stoke on Trent College with around ten modern road cars from a variety of ranges, models and styles. SYNETIQ has significant scale and capacity, operating 16 fully licensed and accredited sites across the UK, with a fleet of over 120 collection and delivery vehicles and having processed 100,000 vehicles in the last 12 months. SYNETIQ has over 54,000 registered auction customers and sells in excess of 51,000 vehicles and 260,000 parts per year. Rob has over 15 years’ experience in financial services, including positions at Board and Executive level.His most recent role was Chief Risk Officer at Wesleyan Bank, an organisation which he originally joined as Head of Finance in 2013. 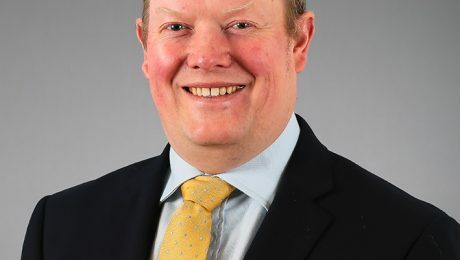 Prior to that, Rob gained considerable and wide-ranging experience in a succession of other senior positions, which included two years as Financial Controller for Al Rayan Bank, followed by a similar role at Melton Mowbray Building Society. Born in Nuneaton, Warwickshire, Rob, 42, gained a B.Sc. in Physics at Durham University, before qualifying as a chartered accountant. Rob said: ”I am passionate about the value that a modern mutual can bring to its members. Leek United is a financially strong and ambitious regional building society, creating a great canvas on which to work and build for the future. Lynne Ingram has joined Freeths Stoke as a Senior Associate in the Employment team. Lynne has vast experience of advising business on all aspects of HR and Employment law having worked in the Staffordshire area for over 15 years. Lynne has a strong reputation for pragmatic and commercially driven advice. Lynne said: “I am thrilled to be joining Freeths. A couple of things that attracted me to the firm are that they are progressive and undertaking exciting time of growth, however, they are unashamedly committed to the Staffordshire region and have an understanding of the issues facing local businesses. Also, I was attracted to the quality of the lawyers who are committed to thinking differently to achieve the goals of their clients”. Jake Wilkie has also joined the Employment team as a Solicitor after having completed his Training Contract with the firm. Jake started his career at Freeths working in the Stoke offices’ Commercial Property team in 2014 and went onto his first and second seat in the Manchester and Derby offices. Jake then returned to Stoke for his final seat in Employment. 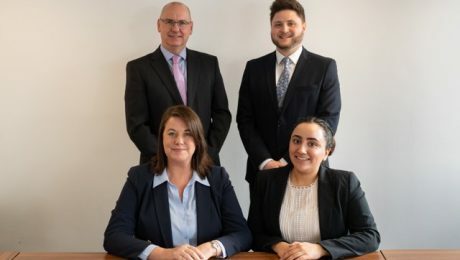 Jake said: “I am extremely proud to be working with Peter and the Employment team in Stoke and very fortunate to be working for such a forward thinking, expanding firm. Its national corporate values, such as “doing the right thing” are championed through various local partnerships and are advocated by all lawyers in the office. I am excited to develop my skills under Peter’s and Lynne’s guidance and to develop relationships with the prestigious local clients they both represent”. Freeths LLP is a top 50, full service commercial law firm. With 13 offices across the UK, Freeths has a presence in the majority of the major cities. Staff numbers have increased to 890 including 195 partners & directors in recent years. The Legal 500 2019 states “Delivering ‘excellent service all-around’, Freeths LLP is praised for its outstanding depth of knowledge’”. Microsoft Gold Partner, the 848 Group, presents their highly-anticipated event focussing on Digital Transformation! If you’re hearing all this talk about Digital Transformation, but aren’t sure what it is, or how it will benefit your organisation, then this is the event for you! Join us on the 10th May, at the Staffordshire Chambers of Commerce where Enterprise Architect; Andy Mallett, Account Director; William Nelson, and Senior Functional Consultant; Dominic Ryder, of the 848 Group, will present Digital Transformation, Business Changing IT. The event will offer insight in how technology can empower your workforce, enhance customer service, transform your products and services, as well as optimise your sales! Mark Trimmer, Business Intelligence expert will also be attending as a guest speaker to offer insight on how advanced data analytics can drive your business forward. It’s completely free to attend! You only need to register! Simply, go.848.co/event and complete the form on the page! “Digital transformation is more than buying new technology or moving to the cloud. 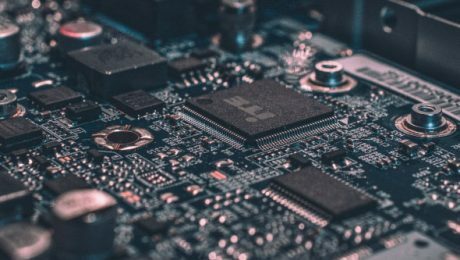 It must be focused to allow the effective use of technology to empower people to deliver improved customer value through more efficient processes.” – Andy Mallett, Enterprise Architect and Solutions Director. 848 Group have significant experience in providing solutions, services, consultancy, and technologies, to SMBs and Enterprises across the UK, and further afield. We have over a century of combined experience! Over the years, they have received many accolades for their impressive work, including Gold and Silver Microsoft Partner status. As well as forming partnerships with many other high-profile providers, including, Deloitte, Ricoh, and Veeam. Staffordshire has started the new financial year on near full employment, statistics published show. Just 1.6% of the local population is claiming out of work benefits, lower than both regional (3.3%) and national (2.6%) averages. County council leader Philip Atkins said major new developments this year would further boost employment opportunities. He added: “It is good news that we have started the new financial year with near full employment and our focus continues to be on supporting the creation of better paid, better skilled jobs for people in Staffordshire. 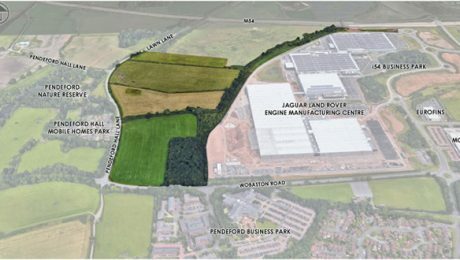 “Meanwhile we now have full occupancy at the county council-developed Four Ashes Business Park and the first business will be moving on to Meaford Business Park, where we laid the foundations for the on-site development. Middleport Pottery has been used as the distinctive backdrop for episode filming of ‘The Strongest Man In History’. The US film crew were joined by North Staffordshire’s Eddie Hall and three co-stars performing a series of challenges inspired by legends and real moments in history. 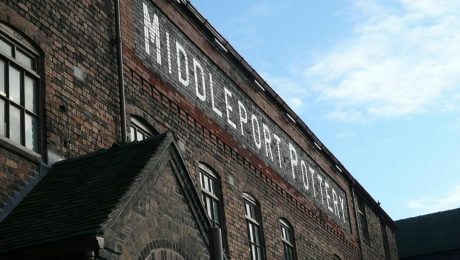 Middleport Pottery was chosen for it’s rich pottery heritage and canal side setting with four watch towers being built to re-enact a prank by 18th century strongman Thomas Topham. The TV show will be aired in the United States later this year. 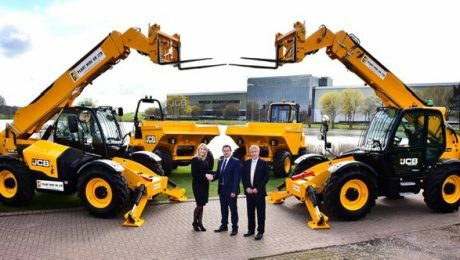 The deal will see the leading UK hirer strengthen its construction machinery line-up by purchasing 300 new JCB Loadalls and 50 compact excavators along with site dumpers and tandem rollers. The new machines will be put to work by contractors on construction and civil engineering projects across the country and will add to Plant Hire UK’s vast fleet of JCB machines. 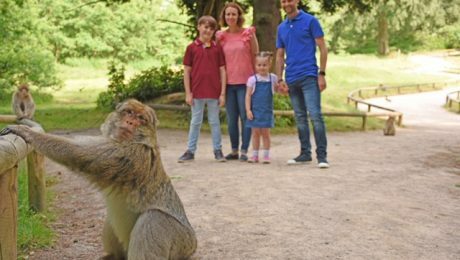 Staffordshire’s Trentham Monkey Forest have been recognised as one of the leading animal attractions in the UK after officially becoming members of The British and Irish Association of Zoos and Aquariums (BIAZA). “We’re delighted to be part of such a fantastic organisation who support and are committed to conservation, education and research, something that is at the forefront of what we do at Monkey Forest” commented Monkey Forest Director, Matt Lovatt. BIAZA aims to support its members to help inspire people in protecting and conserving the natural world. They provide education, training and research, as well as achieving the highest levels of animal care and welfare, something which the Monkey Forest team are very proud of and we’re sure the monkeys agree too! “We aim to educate our visitors about the plight of the endangered Barbary macaques and want to keep spreading this important conservation message that can be transferred to other endangered species too. We hope that our BIAZA membership allows us to spread this message even further” said Matt. 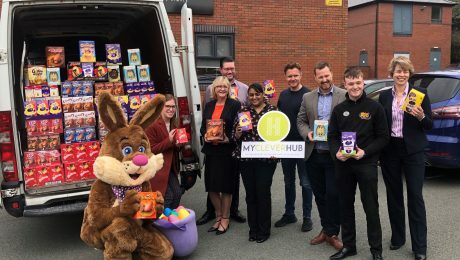 Following an appeal for Easter Eggs from Alice Charity, MyCleverHub, Stoke-on-Trent’s first Entrepreneur Incubator and Accelerator hub, has coordinated an Easter Egg appeal which originally aimed to collect 200 eggs, with the first 100 eggs being matched by MyCleverGroup. Thanks to the generosity of local businesses, over 600 eggs have been collected for children and families who otherwise wouldn’t be receiving an Easter Egg in the coming weeks. In addition to staff contributions from across MyCleverGroup, there have been further donations from Mitten Clarke, Dains Accountants, Water World, Handelsbanken, Mounsey Surveyors, Beswicks Legal, Pace Ward Insurance, Harrison Carloss, Koch Glitsch, Hobb Computers and KMF Group, each of who helped with this appeal for vulnerable children and families across the Stoke-on-Trent and Newcastle-under-Lyme area. Jon Dudley, Partner, Dains Accountants mentioned: “Supporting the Easter Egg Appeal was a great way to round off our year of fund raising for Alice Charity. Many thanks to MyCleverHub for organising such a great initiative on Festival Park. There will be lots of happy children this Easter. Emily Petts, Family Support Director, Alice Charity added: “Alice Charity has received requests for over 2000 Easter Eggs so far. Thanks to the support of MyCleverHub, individuals and local businesses we are confident that we will be able to ensure these children will wake up on Easter Sunday with a chocolate egg”. 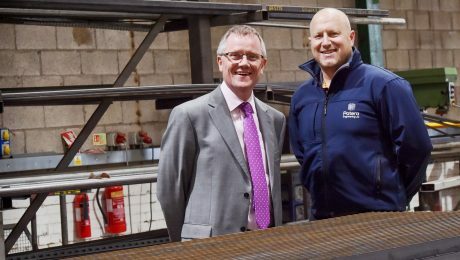 Companies across North Staffordshire are being urged to take advantage of a unique programme, set up by Michelin to champion job creation in the region. Michelin Development is keen to see applications to its business support service increase.Subsidised, unsecured loans of up to £50,000 are available for projects with the potential to create quality, sustainable jobs. One company helped by Michelin Development is Patera Engineering. Based in Fenton the family-run business – founded by Chris Lees in 1988 and currently led by his son Shaun – is going from strength to strength in the construction, structural and custodial sectors. Two loans from Michelin Development have helped them to move into larger premises, invest in high technology equipment and develop advanced Building Information Modelling (BIM) within the business. This has enabled Patera Engineering to make the leap into top specification projects nationally and internationally, as its reputation for quality, innovation and service grows.